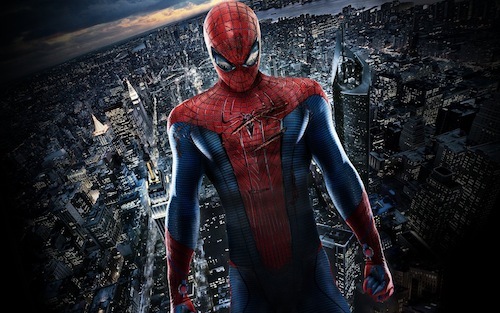 I walked into this movie expecting to be blown away, I really liked Andrew Garfield playing as Spiderman and I avoided watching any trailers because I didn’t want to ruin the story or surprises. I just got annoyed with Tobey Maguire after the second one, the guy just felt damn annoying and he was a prick. This story started out different, not exactly 100% like the story and both Peter Parker and Gwen Stacy are cooler characters and smarter, I like how we saw the nerdier side of Peter Parker, and Emma Stone turned out to be a really good fit for Gwen Stacy. Martin Sheen & Sally Fields as Uncle Ben and Aunt May couldn’t have been a better pic, they were veteran actors with a lot to give and this time they are a larger role to play which I liked. 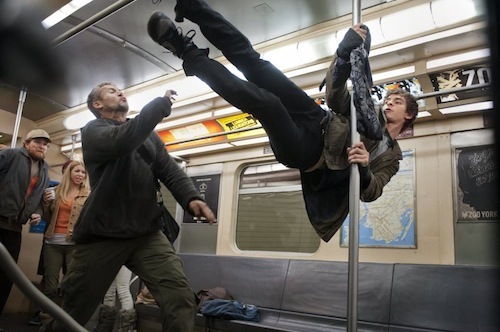 It told a good story and I loved Andrew Garfield as Spiderman because he even had a damn good sense of humor and looked like he had fun playing Spiderman too but there was just one thing that was missing to this movie. The bad guy just wasn’t bad enough, or the build up between them just wasn’t what I was expecting, and Oscorp felt to be a side note. I liked the movie, but I wanted to love it, I just wanted more out of it. 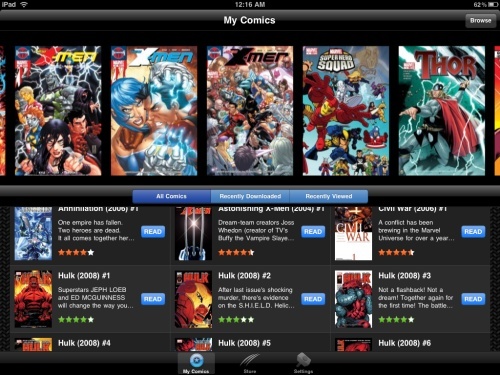 Marvel has turned out to be one of my favorite applications on the iPad, I have always had a love for comics but as I grew up I lost track of all the different Universes, plots and lists of new comics that kept coming up. With the emergence of the iPad they have provided the perfect platform for Comics, I find myself reading for hours and hours these days and I’m enjoying every moment of it, I feel like the Geek in me couldn’t be happier. I read the comics and keep going to the next issue of the series, everything is very organized and you can keep buying the next one. I passed by the Kinokonaya Book Store in Dubai and saw a few Marvel Comics and I really wish they would be released soon on the iPad, and I kept flipping through a few of the comics that were on the table. 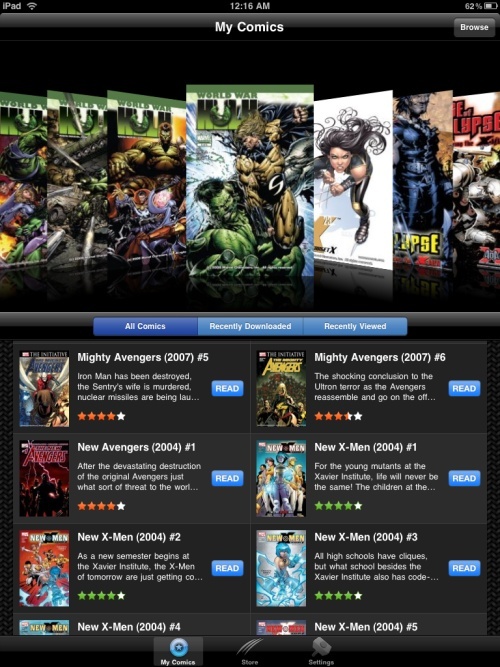 The best part is that you can go through the categories and view each series on its own making it easier to select the comics you want, and of course the sample is perfect so you get a slight feel of the comic before purchasing. Even with all these points I think that its a fantastic Application and a huge stepping stone to bring comics back to what it was. 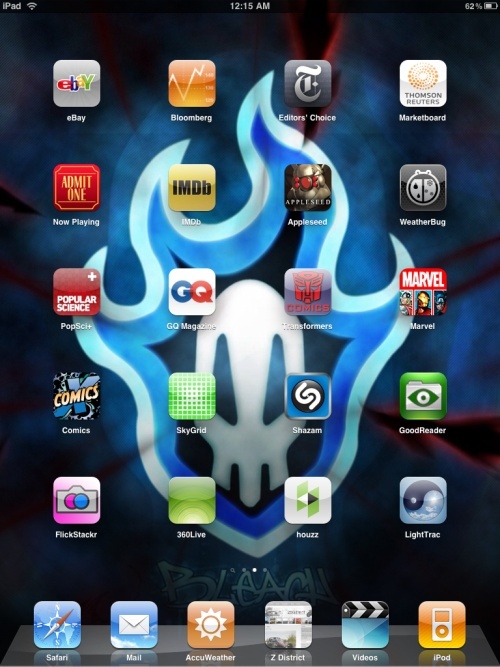 The iPad has revolutionized the way people interact with online activity and reading comics is being brought back in a way that takes advantage of all the features of the iPad making it easier and more fun to read.